First of all 'Happy New Year' to everybody. I hope you all managed to celebrate, sleep or rave well into 2013. 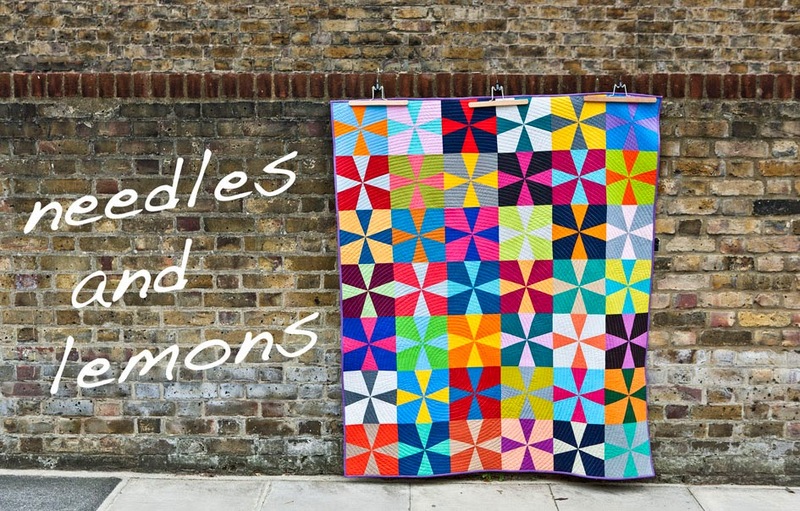 I was going to do a recap of the old year but then thought better of it and instead I am marching full swing into the new one with a new quilt - of course a new quilt. What else. One person in my family who hasn't been given a quilt and is long overdue one is my godmother Sanni. Earmarked for her has been my 'Hometown' fat quarter pack from the fabulous Sweetwater designers. When this collection came out in Autumn of 2011 I couldn't help myself to buy an entire fat quarter set. On hindsight a mistake as any of the Sweetwater collection have to many prints. Since I have started to use jelly roles and layer cakes when it comes to Sweetwater collections. Fat eighths are also available to buy which is another more cost effective purchase if I feel I have to have all prints. I have been looking a long time for a suitable pattern for this fabric and finally settled on 'Botanical Gardens' from Sarah Fieldke's book 'Quilting from little things' . 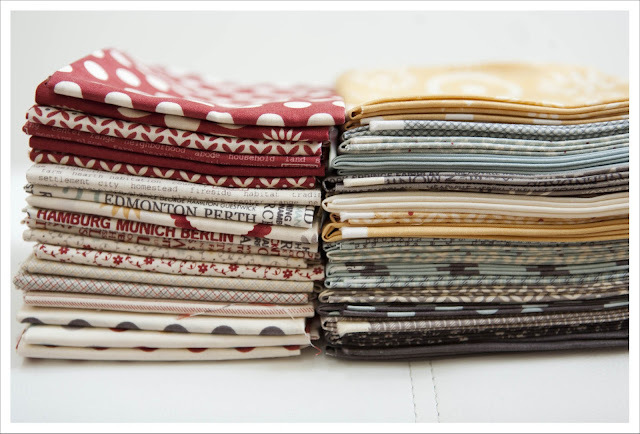 It's a wonderful pattern that is perfect as it contrasts for each block 2 fabrics. The pattern calls to sew in rows but I honestly think that is a bit ludicrous and is prone to lead to errors and misplaced pieces. Instead I am using an A2 sized piece of cardboard onto which I transfer larger sections, i.e. artificial blocks that I then sew together. This works really well. It's going to be stunning! Wow, it looks really complex, especially not being able to put together blocks. Looks fabulous, but you must have far more patience and stamina than I do. Look forward to seeing the finished quilt. Lol! I could NOT do that in my house. The cats would have their fun with all the little pieces! I so want a design wall for that very reason. I love those colors. This quilt looks so complex. I can't wait to see the finished product. LOVE it! I fell hard for hometown too and think you've found the perfect pattern for it. I'm the same as Laura but it would be dogs and kids that would scatter my squares far and wide! bundle, was looking for more fabric from the line but it's fast disappearing. Pretty, I never tire of blocks on point. I agree sewing in rows I don't care for. I also prefer piecing blocks first. Hometown is simply a fun filled line isn't it! 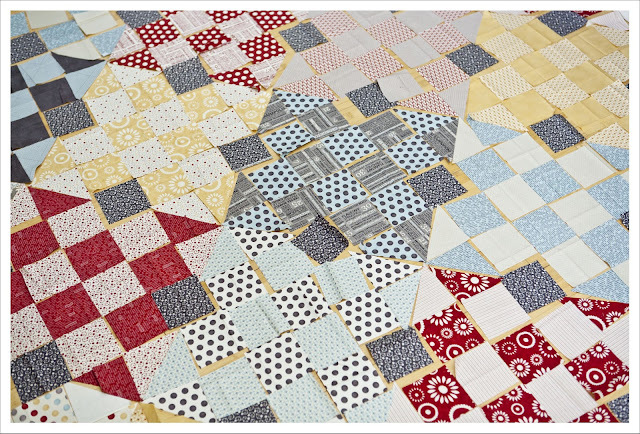 I am anxious to see the whole quilt put together--good luck! I love Hometown. I just finished a wip I had from this line. I made a pattern from the Tulip Patch that was on Moda Bakeshop called Road to Tennessee. It looks lovely. It used two charm packs. Thanks for the tip about buying fq bundles. I feel sucked in to them all too often. I'll try to curb my spending to layer cakes or jelly rolls. 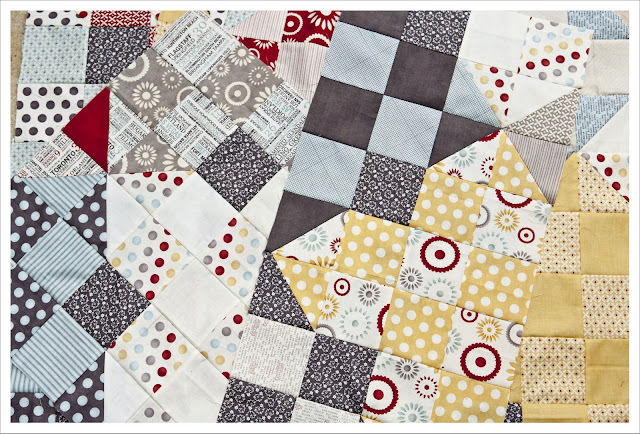 What a beautiful quilt, I like your idea of sewing it up in chunks. My bundle of hometown has been barely touched, one day I will cut it.